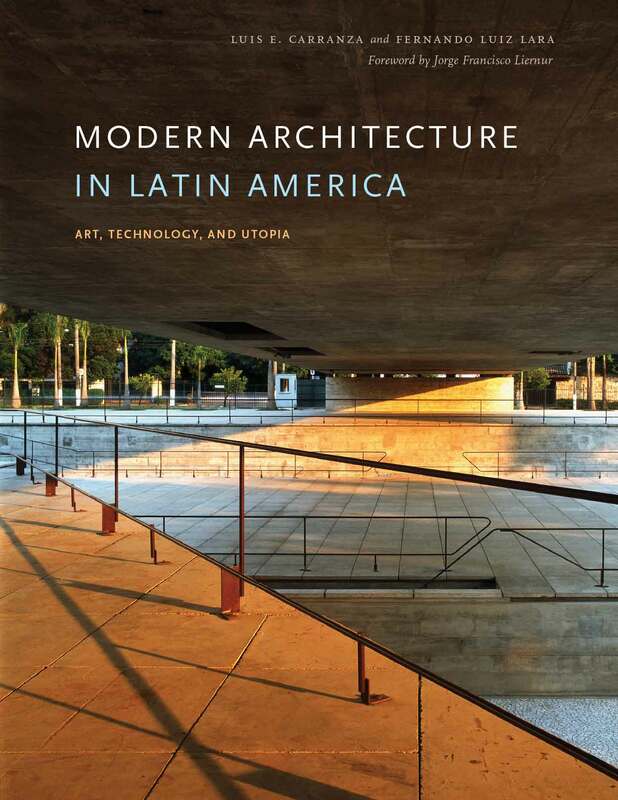 Designed as a survey and focused on key examples and movements arranged chronologically from 1903 to 2003, this is the first comprehensive history of modern architecture in Latin America in any language. Designed as a survey and focused on key examples/paradigms arranged chronologically from 1903 to 2003, this volume covers a myriad of countries; historical, social, and political conditions; and projects/developments that range from small houses to urban plans to architectural movements. The book is structured so that it can be read in a variety of ways—as a historically developed narrative of modern architecture in Latin America, as a country-specific chronology, or as a treatment of traditions centered on issues of art, technology, or utopia. This structure allows readers to see the development of multiple and parallel branches/historical strands of architecture and, at times, their interconnections across countries. The authors provide a critical evaluation of the movements presented in relationship to their overall goals and architectural transformations. 1903. Francisco Pereira Passos begins a project to “civilize” Rio de Janeiro by applying Baron Haussmann’s ideas as an answer to the tropical (lack of) urbanism. 1904. Víctor Meano, Francisco de Oliveira Passos, and Emile Jéquier build a Latin American character with a classical vocabulary. 1906. Julián García Núñez’s Hospital Español defines a characteristic search for a new language: Secession/Art Nouveau. 1914. Jesús T. Acevedo and Federico Mariscal lecture in Mexico on the character, importance, and role of the Spanish colonial legacy. 1915. Antonin Nechodoma introduces the Prairie style to Puerto Rico. 1922. In an attempt to create a building expressive of the “cosmic race,” José Vasconcelos inaugurates in Mexico City the headquarters of the Secretaría de Educación Pública and formalizes the muralist project. 1924. Martín Fierro presents Alberto Prebisch and Ernesto Vautier’s Ciudad Azucarera en Tucumán and formalizes the connections and interests in architecture among the literary and artistic avant-gardes. 1925. Modern architecture begins with Gregori Warchavchik and Rino Levi publishing manifestos on the new architecture; catching up to the 1922 Semana de Arte Moderna. 1928. The Columbus Memorial Lighthouse Competition sparks an investigation into what architecture for Latin America should be like. 1929-A. The Ibero-American Exhibition opens in Seville, revealing the complex and contradictory relations between Spain and its former American colonies. 1929-C. With the History of the Skyscraper, Francisco Mujica articulates the skyscraper’s Latin American dimension. 1929. Sergio Larraín and Jorge Arteaga’s Oberpauer Building initiates a new direction in Chilean architecture. 1930-A. Getúlio Vargas takes power in Brazil and appoints twenty-eight-year-old Lúcio Costa as director of the Escola Nacional de Belas Artes (ENBA). 1930-B. Commemorating the centenary of its independence, Uruguay takes the first Soccer World Cup at home, and Montevideo is at the center of its modern ambitions. 1933. In his Pláticas sobre arquitectura lecture, Juan O’Gorman highlights the existing polemics between functionalism and academic architecture. 1936. Le Corbusier is back in Rio de Janeiro. 1936-A. The Kavanagh Building is finished, becoming the tallest skyscraper in Latin America. 1937. Wladimiro Acosta’s Vivienda y ciudad highlights the relationship between ecology, new forms of leisure, the house, and the city. 1938. Characteristic of the growing reach of surrealism into architecture and Latin America, the Chilean architect-trained artist Matta publishes “Sensitive Mathematics—Architecture of Time” in Minotaure. 1939. The European diaspora brings architectural talents to Latin America on an unprecedented scale. 1941. Pampulha represents an encounter that would change the future of Brazil. 1943-A. The Brazil Builds exhibition at the Museum of Modern Art in New York highlights the architectural and political interests of U.S. relations with Brazil. 1943-B. Town Planning Associates (TPA) is commissioned to design a new Brazilian town around an airplane factory, Cidade dos Motores. This will be the beginning of TPA’s involvement with Latin America that will include not only plans for Chimbote, Peru, but also master plans for Medellín and Bogotá, Colombia, and Havana, Cuba. 1944. Henry Klumb moves to Puerto Rico and formalizes investigations of modern architecture in the tropics. 1947-A. Luis Barragán and Max Cetto, the émigré German architect, begin working on the design of the first houses in Mexico City’s Jardines del Pedregal subdivision. 1947-A. Oscar Niemeyer sketches the UN building in New York but takes no credit. 1949. La ciudad frente al río is released, showing the transformations of Le Corbusier’s plan for Buenos Aires. 1950. Public housing reaches a monumental scale: Mario Pani, Carlos Raúl Villanueva, Affonso Reidy, Oscar Niemeyer. 1951-B. PROA magazine publishes Arquitectura en Colombia, articulating an identity that survived the second half of the century. 1951-C. Lina Bo Bardi inaugurates her Casa de Vidro. 1952. The debates of plastic integration, modern architecture, and the development of new city forms come to the forefront in two major universities: the UNAM in Mexico City and the Universidad Central in Caracas, Venezuela. The first exemplifies figurative, legible, and socially conscious art; the second, abstraction. 1953-C. Max Bill’s critique of the São Paulo Biennial has a significant impact in Brazil: Oscar Niemeyer writes a “mea culpa,” Sérgio Bernardes invests in designing a technological utopia, and João Filgueiras Lima devotes his life to prefabrication. 1956. Brasília: A modernist utopia? 1961-A. Fidel Castro, in conversation with Ernesto “Che” Guevara, decides to convert a golf course into art schools in Cuba. 1961-B. João Batista Vilanova Artigas and Paulo Mendes da Rocha articulate the Paulista school: free ground plan, generous social spaces, and opaque envelopes. 1963. In Bogotá, Rogelio Salmona takes old bricks to a new dimension in Torres del Parque. 1964-A. The military dictatorship ends Delfim Amorim and Acácio Gil Borsoi’s investigations into an architecture for the Brazilian northeast. 1965-A. Parque do Flamengo: Roberto Burle Marx redefines the Brazilian landscape by rediscovering the country’s own local species. 1967. Hélio Oiticica builds Tropicália, challenging the traditional boundaries between art, popular culture, construction, and architecture. 1968. The Olympic Games provide Mexico City with opportunities for new forms of national representation through architecture; deadly student protests highlight the contested use of public space. 1969-A. Inventing new educational paradigms, Alberto Cruz Covarrubias and Godofredo Iommi (poetically) found the Ciudad Abierta in Chile. 1969-B. PREVI: Two opposing governments in Peru bring in the best architects in the world to address squatter settlements. 1969. Francisco Bullrich publishes on Latin American architecture. 1971. Formalizing the legacy of the Madí (Movimiento de Arte de Invención) and utopian urban projects, Gyula Kosice proposes a hydrospatial city. 1976. Mexican postmodernism: Teodoro González de León’s Colegio de México expresses modern architecture’s new historicizing sensibilities. 1979. Pampulha magazine is launched in Minas Gerais, marking the beginning of Brazilian postmodernism. 1980. The Pritzker Architecture Prize is awarded to Luis Barragán, and photography is at the center of the myth. 1983. Niemeyer returns to Rio de Janeiro to design the Sambódromo and the CIEPs: architecture gets closer to popular needs. 1983-A. Ramón Gutiérrez publishes Arquitectura y urbanismo en Iberoamérica. 1985-B. Lina Bo Bardi and the SESC Pompéia inaugurate an interest in adapting existing structures. 1990. Chilean postmodernism is challenged by José Cruz and Germán del Sol. 1991. Angelo Bucci and Alvaro Puntoni win the competition for the Brazilian pavilion at Seville Expo 1992, marking the end of the postmodern reign and the beginning of neomodernism. 1994-B. As a model for internationalization, NAFTA becomes emblematic of the new character of late-twentieth-century Mexican architecture. 2000. Colombian Renaissance: In Bogotá and Medellín, mayors and architects work together to create better cities. LUIS E. CARRANZA is Professor of Architecture at Roger Williams University in Bristol, Rhode Island. He is the author of Architecture as Revolution: Episodes in the History of Modern Mexico , and he has published and lectured nationally and internationally on Latin American modern architecture, focusing primarily on Mexico.FERNANDO LUIZ LARA is Associate Professor of Architecture at the University of Texas at Austin, where he serves as Chair of the Brazil Center at the Teresa Lozano Long Institute of Latin American Studies. He is the author of The Rise of Popular Modernist Architecture in Brazil .